Looks like Turning TX (our slogan at least) is famous! P.S. Family, friends, and followers, I miss you! Hopefully one of these days I’ll find some time to let y’all know what I’m up to. Hint: it involves VAN, so I’m happy! 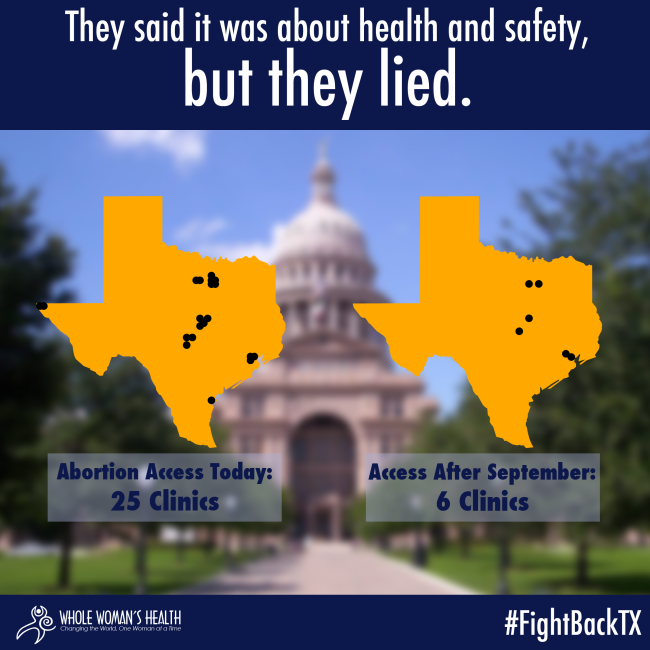 Just a few days after a panel on the U.S. Court of Appeals for the Fifth Circuit refused to block two provisions of a far-reaching and unconstitutional legislative attack on women’s rights and health care passed in Texas last summer—a measure that has since closed several abortion clinics and created a devastating health care crisis for countless women—the Center for Reproductive Rights has gone back to court today to file a new lawsuit against House Bill 2.